Native American Horse Breeds | A Song for the Horse Nation - October 29, 2011 through January 7, 2013 - The National Museum of the American Indian - Washington, D.C. The descendants of Indian horses are still with us, including some of the most popular breeds in America today. This breed descends from an 18th-century cross of Chickasaw ponies, with their superior speed and agility, and English thoroughbreds. Named for its ability to easily win quarter-mile races, it may be America’s most popular breed. 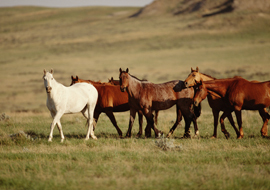 The Choctaw, Cherokee, Chickasaw, and Creek captured their first horses from the Spanish and became avid horse breeders in their original homes in the Southeast. 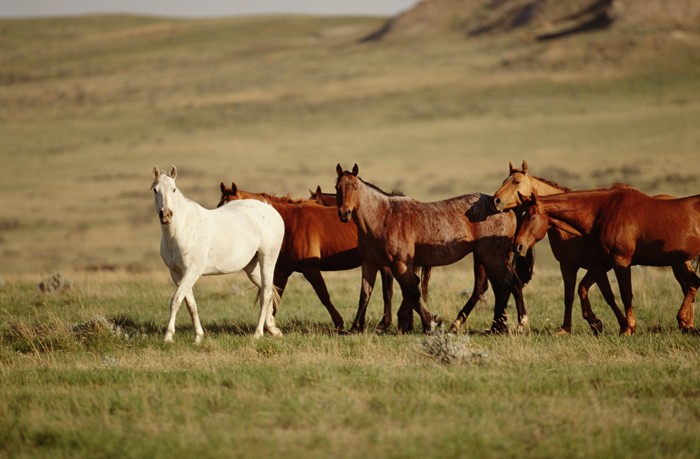 Following the removal of these tribes to Oklahoma, they continued to breed horses. In recent years the breeds have diminished due to the deaths of elderly breeders, but work is currently underway to preserve the Southeastern horse breeds before they are lost forever. 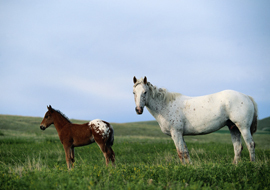 This spotted horse descends from animals bred by the Nimíipuu (Nez Perce), who once owned the largest herd in North America. After Chief Joseph’s War (1877), the U.S. Army disbanded the tribal herd, but since 1938 the Appaloosa Horse Club has been working to preserve the breed. Meanwhile, the Nimíipuu are re-establishing their own Appaloosa herd with an ambitious breeding program that incorporates the Akhal-Teke horse of Turkmenistan. This magnificent horse with a golden coat may be the oldest of domesticated breeds. The Nez Perce, or Nimíipuu, have long been known as horse people. 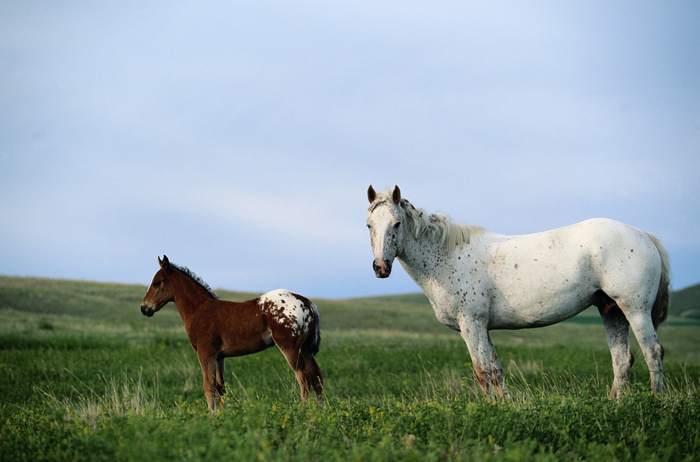 By selectively breeding horses they developed the Appaloosa, a distinctive line known for its endurance, strength, and beautiful spotted coat. Today, the Nez Perce have developed a new breed of horse and maintained interest in the culture of horsemanship through the Young Horseman’s program.